Cambridge Audio SX-60 review | What Hi-Fi? 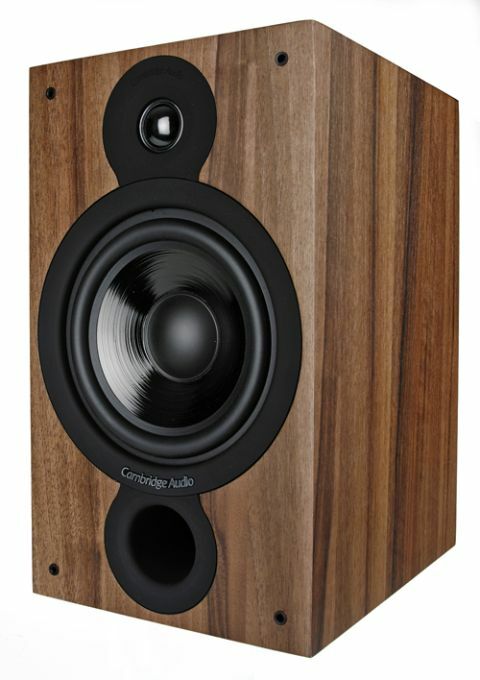 It has been a long time since we've heard a pair of Cambridge Audio hi-fi speakers. Enter the Cambridge Audio SX-60. The company has recently put a lot of focus on its portable wireless speakers with the impressive Minx Air 100 and Minx Air 200. But the SX-60 brings Cambridge Audio back to its hi-fi roots. The SX-60 standmounters are part of the entry-level SX range, sitting between the smaller SX-50 speakers and the SX-120 subwoofer. Cambridge Audio has emphasised ‘sound first design principles’ – meaning these speakers don’t look fancy. They’re straight-edged MDF cabinets wrapped in dark walnut or black vinyl. There’s a 25mm dome tweeter, a 165mm mid/bass driver and a front-firing reflex port and, round the back, a single set of speaker terminals. They’re solidly built and the level of finish is fine, if a bit basic (if you want something more luxurious, check out the gorgeous Monitor Audio Bronze BX2). Is that cost-cutting or smart prioritising? Only Cambridge Audio can say. Either way, we’re pleased to say these speakers are rather good performers. The SX-60s catch our attention straight out of the box. These speakers are confident and full of energy. If you’re after an upbeat sound, you’re in for a treat: put on a bit of House of Pain and there’s enough bounce to make you really want to jump around. They’re well balanced, too. The top end is prominent without being too bright, and the midrange is direct. The bass is rich, but it’s tight and never less than agile. There’s also a good level of integration. Elsewhere, there’s a good grip on rhythm, a decent amount of detail and a good sense of scale. We’d be careful about speaker placement though. Despite front-firing reflex ports, the SX-60s really don’t like walls – leave at least 30cm of space behind them or else that bass will become overpowering. So far we’ve been impressed, so it’s time for a bit of competition. We switch over to Wharfedale’s Diamond 121s, and it’s soon clear that the SX-60s are up against exceedingly high standards. The Wharfedales have a clearer sound, with greater dynamic reach. We heard more layers of subtle detail, with a greater sense of scale to the piano of the soundtrack from Moon. The Diamonds manage to achieve that sparkle we look for in a five-star product, but as much as we like the SX-60s, they’re more functional than special. The Cambridge Audio SX-60s are good speakers. If you’re after a bold, upbeat sound, you can’t go wrong. But if you’re after something truly special, you might want to look further afield.